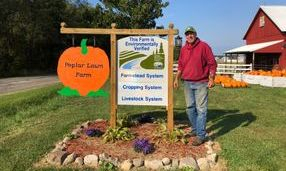 This is an innovative, proactive program that helps farms of all sizes and all commodities voluntarily prevent or minimize agricultural pollution risks. MAEAP teaches farmers how to identify and prevent environmental risks and comply with state and federal environmental regulations. Farmers who successfully complete the three phases of a MAEAP system are rewarded by becoming verified in that system. MAEAP was developed by a coalition of agriculture producers, commodity groups, state and federal agencies, and conservation and environmental groups.